The romantic, enchanting city of Paris celebrates Gay Pride, called Marche des Fiertes LGBT, at the end of June with a massive parade that draws more than 700,000 spectators and participants as well as a series of parties, balls, and other lively events. Related Pride Activities includes parties at a variety of clubs throughout the city. The date this year of the Paris Gay Pride March is July 2, 2016. Note Paris has been chosen to host Gay Games 10 in 2018 - it wouldn't hurt to mark your calendars now. 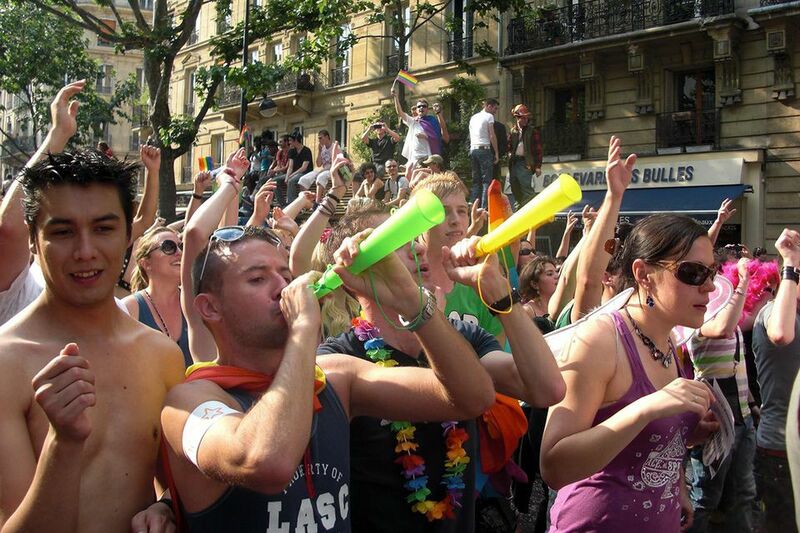 You'll find lots going on during Gay Pride throughout the city, especially in the tres gay Marais District. Check out About.com Paris's excellent primer on the Paris Pride Celebration as well as a handy guide to the best GLBT Bars and Clubs in Paris. Also see About.com France's festive Paris Gay Pride photo gallery. Other excellent resources on gay travel in Paris include ParisMarais.Com. Very helpful, too, is Patroc.com's Gay Paris site. Also take a look at the excellent travel site produced by the city's official tourism organization, the Paris Convention and Visitors Office.